It's taken a while - we built Bliss to take up the slack for storage when we built our tiny home - and she's been filled with storage tubs ever since. The main construction was 2x4 lumber, with OSB for walls. I painted the sides that get the most exposure to the weather, but until now, that's as far as it went. 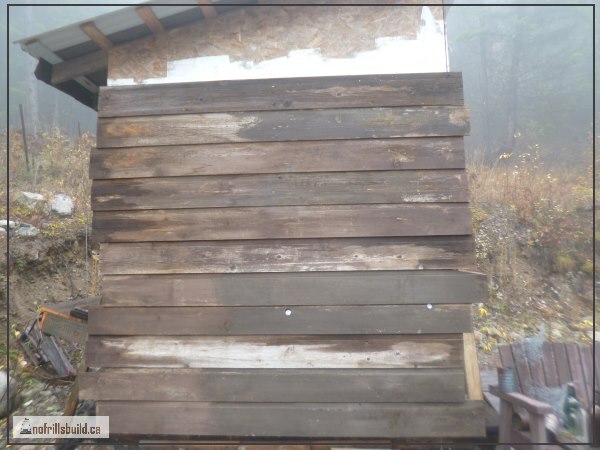 The pile of salvaged channel siding was gradually rotting away under a tarp, so it was no good for any other project, but perfect to side a rustic and funky storage shed. This is really wide channel siding, most of it cedar. Picking through it to find the longest and most sound boards was a matter of minutes, moving it up to the side of Bliss a few more. 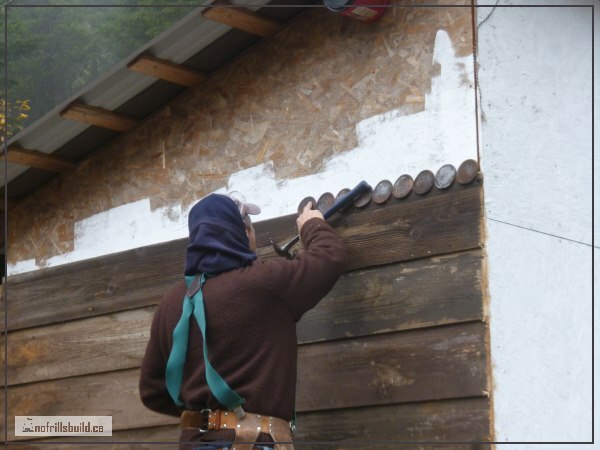 Mike is a perfectionist, meticulous in his building, so salvaging old siding, then actually going to use it, is a matter of pride for him. 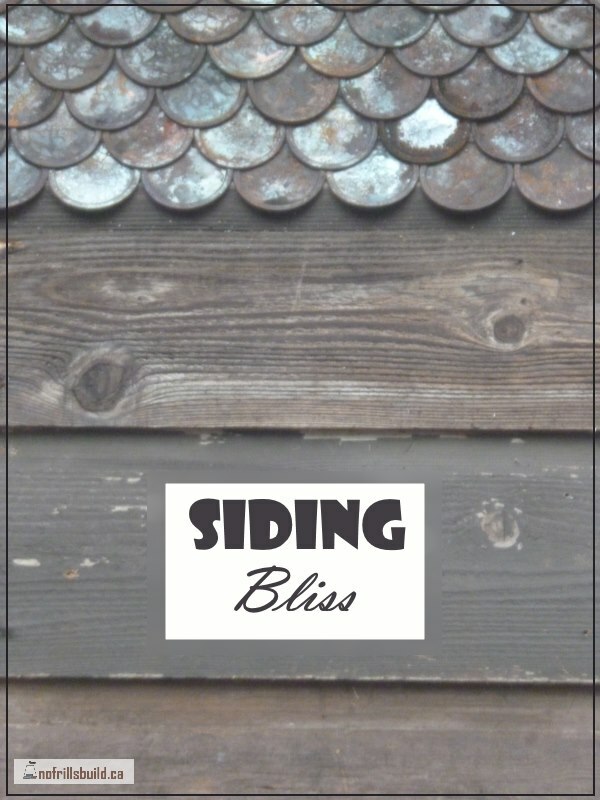 This is not the worlds most beautiful siding, but for this job, it's important to give up on perfection, and not let the flaws get in the way. Embrace the rusticity and age! Celebrate the dents, gouges, rotten bits and knot holes! It will all come out fine in the end, I promise. I have a plan in mind, and it consists of using some mason jar lids that I burned in the fire. These will be the fish scale shingles to finish off the gables of the shed. Everything else will be the channel siding, weathered (or fake weathered) to the silvered grey of old driftwood.